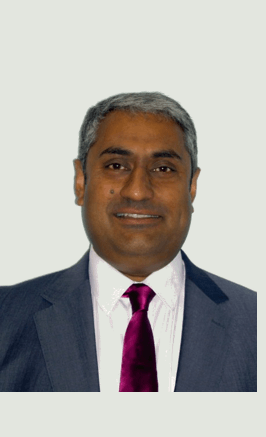 Ricardo draws on over 30 years’ of global experience to develop sustainable, cost-effective solid waste management systems. 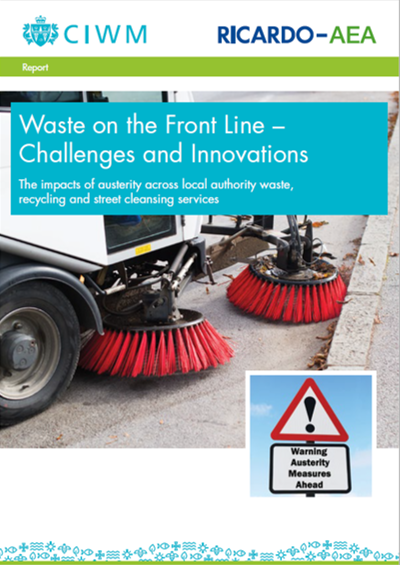 We have the necessary expert knowledge and appreciation of real-world solid waste management issues to help you make effective decisions, taking into account the rapidly evolving economic, environmental, social and technological factors which may affect your organisation or municipality. Institutional restructuring and development of effective governance and regulatory bodies for waste management, including training programmes, capacity building and knowledge transfer. Support in the development of policies and strategies on issues such as zero waste, waste to energy, resource efficiency and the circular economy. Feasibility studies and options appraisal for waste management service improvement and infrastructure development. Life-cycle analysis and greenhouse gas (GHG) emission modelling. Procurement, contract development and publicprivate-partnership (PPP) approaches for waste management. Dump site reviews and landfill assessment, planning and management. Waste technology appraisals and due diligence, including conventional energy from waste, gasification, pyrolysis, mechanical biological treatment, composting, anaerobic digestion and materials reprocessing technologies. Communications, stakeholder engagement and behavioural change studies and strategies. Developing an Integrated Waste Management Strategy and Implementation Plans for the capital city, ArRiyadh, of the Kingdom of Saudi Arabia. Collating the UK’s GHG emissions inventory for the waste sector. Providing the secretariat for the International Energy Agency Bio-Energy Task Force. An international review of thermal and biological energy from waste technologies for the Environmental Technologies Institute. Waste management strategy implementation and technical assistance for Metro Manila, Philippines on behalf of the Asian Development Bank. 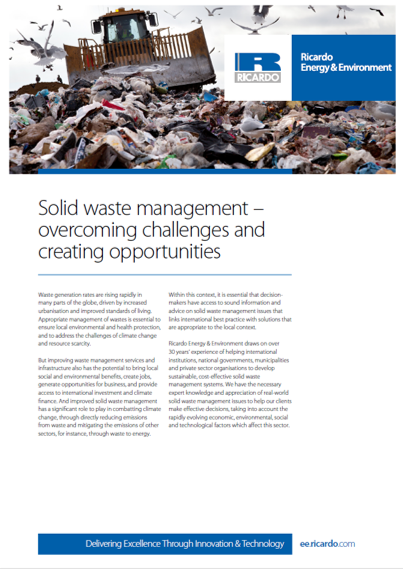 A review of opportunities and challenges associated with waste to energy solutions for Zero Waste South Australia.